The problems in field identification between these two species are well-documented, but comparing study skins is a good way to amplify the differences. The three most significant identification characteristics are shown here. 1. Larger bill. 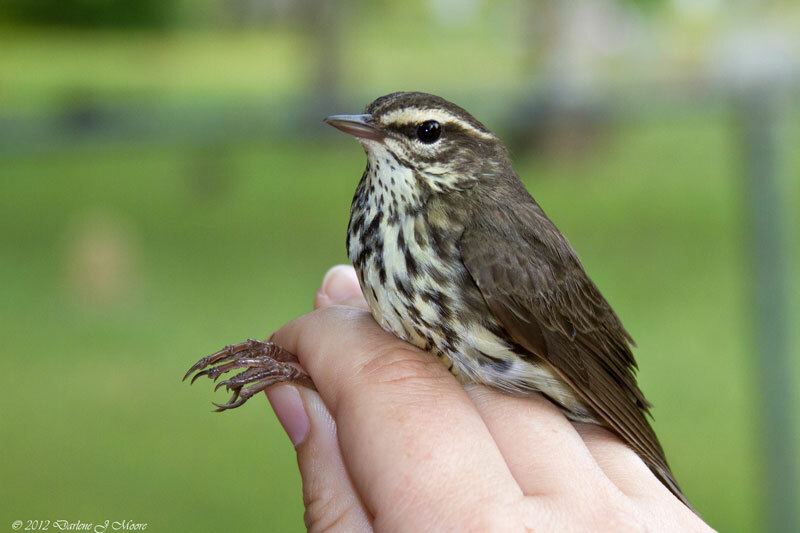 The Louisiana Waterthrush generally has a longer and broader bill. 3. Wider supercilium. The Louisiana Waterthrush generally has a wider supercilium above the eye and extending wider behind the eye. All of these characteristics can be slightly over-lapping and frequently difficult to see in shaded habitat, so all the significant differences should be viewed cumulatively before trying to ID the bird in the field. Do not rely on only one characteristic for identification. Status and Distribution for North-central Texas - The Louisiana Waterthush is an uncommon spring migrant from mid-March to mid-April. A few nest in the eastern-most counties of the study area along moving streams or at least near moving water. Fall migrants are rare but can be found in late summer. Northern Waterthrush is an uncommon spring and fall migrant. It does not breed in Texas. 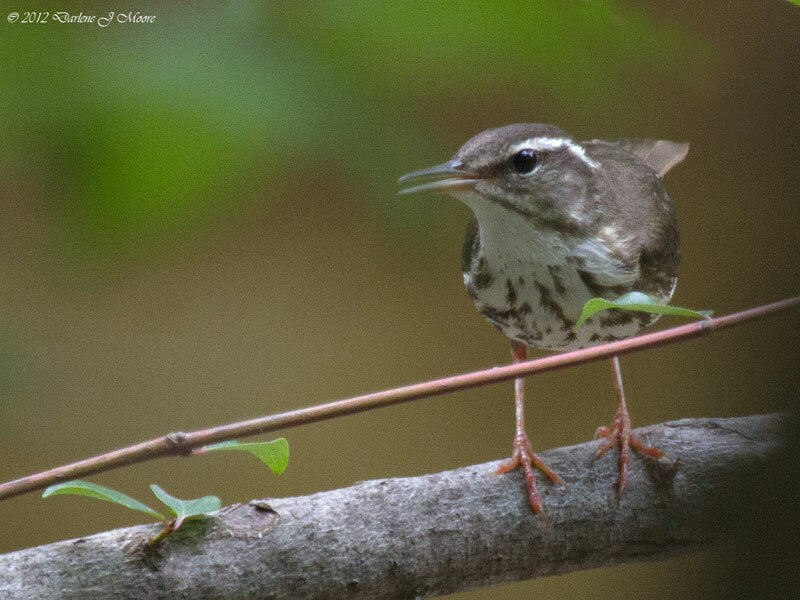 Most spring birds migrate later than Louisiana Waterthrushes, usually late April to mid-May. Any March sighting is most likely a Louisiana Waterthrush. Louisiana Waterthrush, Collin County. Photo by Darlene Moore. Northern Waterhtrush, Denton County, Photo by Darlene Moore.